One of the world’s oldest religious texts has just been revamped for the 21st century in order to attract atheist-minded millennials. The modern translation of the Bible includes emojis and popular internet slang. It is now available on iTunes. The author of the work remains anonymous, identifying only as the cool-dude-with-sunglasses emoji. The author created a program that linked 200 words with corresponding emojis in the text. The whole process reportedly took about six months to complete. Some of the most popular emojis include God, angels, the universe, earth, and prayer hands. Most of the public response has been enthusiastic. @biblesociety@BibleEmoji@mlle_elle that is SO COOL! I should tell my sister; she loves emojis! Thanks guys! @BibleEmoji this is brilliant everyone I know, is loving it! should definitely be on some best seller lists one with pope emojis next time? 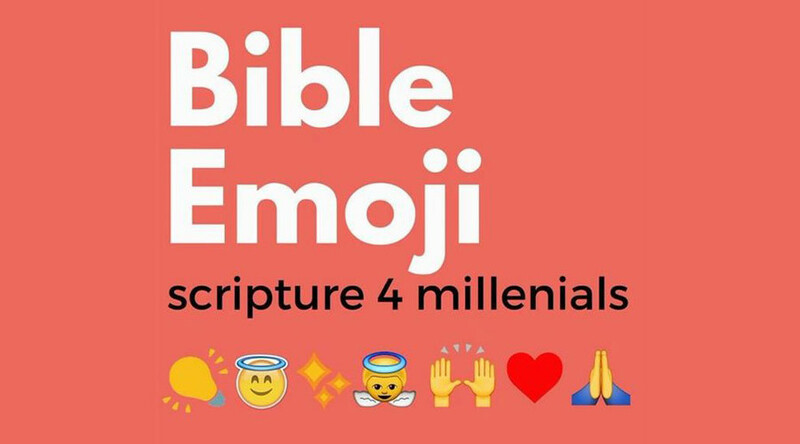 Some have taken offense, however, implying that the reason a large portion of millennials have chosen to walk away from religion has nothing to do with a lack of emojis in the Bible. Millennials are generally classified as being born between 1980 and 2000, and the current mean age of a millennial is 26. Meanwhile, some millennials are disappointed that their generation is being associated with emojis and acronyms.